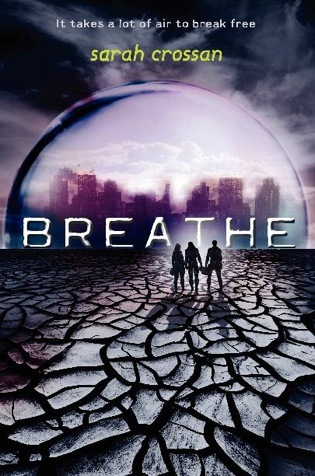 In a world without air, what would you do to breathe? Sarah Crossan’s debut novel, BREATHE, follows three teens dealing with that dilemma when they leave everything they know behind. In a barren land, a shimmering glass dome houses the survivors of the Switch, the period when oxygen levels plunged and the green world withered. A state lottery meant a lucky few won safety, while the rest suffocated in the thin air. And now Alina, Quinn, and Bea—an unlikely trio, each with their own agendas, their own longings and fears—walk straight into the heart of danger. With two days’ worth of oxygen in their tanks, they leave the dome. Thebook goes on sale on 10/2, but just for you blog readers, Sarah Crossan recorded THIS video, in which she discusses her writing process. Be sure to pre-order your copy today!